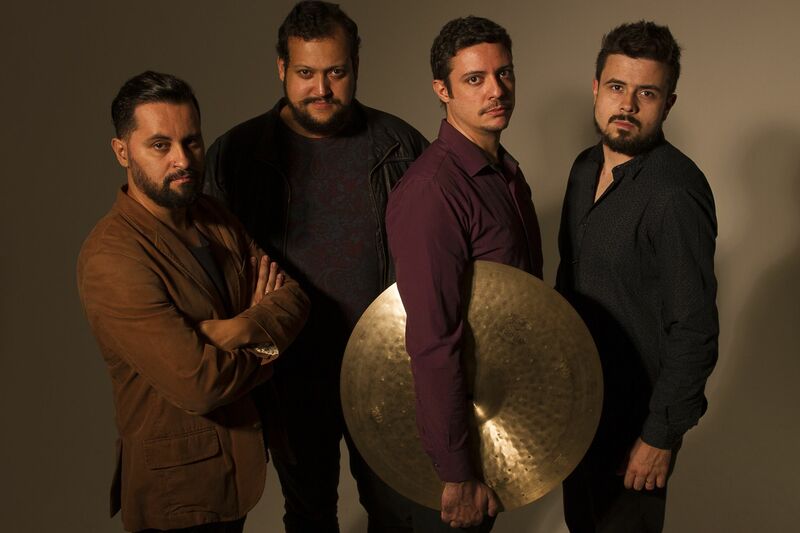 Jazz/Fusion group formad by Igor Willcox (drums/composer), Wagner Barbosa (sax), Vini Morales (keys), Glecio Nascimento (bass). 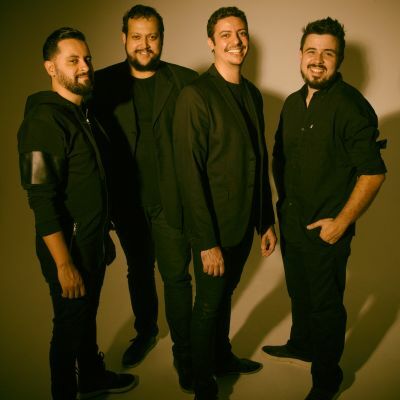 Igor Willcox Quartet, is a jazz/fusion group formed by Igor Willcox (drums / compositions), Vini Morales (electric piano / synth), Wagner Barbosa (saxophone) and Glecio Nascimento (bass guitar). With elements of jazz, funky and fusion, the group plays originals compositions, exploring all musicality, spontaneity, and sinergy. 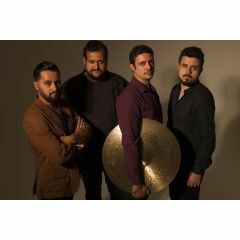 The quartet has achieved great notoriety in the instrumental music scene, standing out and performing in the most important festivals and Brazilian Jazz clubs such as Bourbon Street, Sescs, Santos Jazz Festival, São Paulo Jazz Festival, Play Jazz Festival, Jazz no Hostel, Jazz nos Fundos, etc. Igor Willcox Quartet just released a new album, the first of the group, called “LIVE!”, that shows the concert exactly as it is: “The first Live album of the Brazilian drummer Igor Willcox quartet, captures the spirit of a strongly welded band performing at a high voltage in the most impassioned and interactive way . It features seven originals along with three compositions belonging to jazz fusion legends such as Allan Holdsworth, Wayne Shorter and Lenny White. Ten tracks of unexpected, creative interactions resulted from the combined strength of four virtuosi musicians, each of them contributing with their inventive skills to a perfect fusion of musicality and rhythms. Fans of jazz fusion will enjoy a high quality album delivered by a phenomenal band fueled by the natural energy of like minds playing as a singular voice”. – Jazz World Quest. Download the album: https://igorwillcox.bandcamp.com/album/live About Igor Willcox: Igor Willcox, a descendant of several generations of musicians, was influenced by his father, Paulo César Willcox (maestro, arranger, pianist and vibraphone) and his mother, Sonia Willcox (singer). Considered one of the most important drummers in Brazil, Igor played and recorded with important artists of the national and international scene as; Jimmie Bo Horn, Camille Bertault, Cecilia Stalin, Guilherme Arantes, Familia Lima, Sandy & Junior, Izzy Gordon, Daniela Mercury, Rappin Hood, Fernanda Porto, Frejat, Gary Brown among other artists. In the instrumental music he played and recorded with Bocato, Frank Colon (Weather Report), Tony Lakatos, Carlos Tomati, Michel Leme, Marcinho Eiras, Bocato, Lea Freire, David Richards, Arismar do Espírito Santo, Zerró Santos, Walmir Gil, Jarbas Barbosa, Djalma Lima, Wilson Teixeira, Rubem Farias, Erik Escobar, Decebal Badila, Sandro Haick, Lanny Gordin, Hélio Delmiro, etc. The debut album #1 had an excellent review on the most important and the popular jazz music website in the world, the All About Jazz. “ Fans of fusion and jazz- funk in particular will appreciate Willcox's hard-driving, relentless style, and with some tasteful contributions from his colleagues, it's an auspicious outing from this versatile drummer and songwriter.” “ There's more than enough evidence here to suggest that Willcox can claim a place at the table among current drummers continuing to draw effective inspiration from the abundant resources of jazz fusion”. Troy Dostert– All About Jazz His album with the trio "New Samba Jazz", released by the Swiss label Altrisuoni Records, had excellent reviews in Europe, Asia, USA and Brazil, becoming Best Seller of the label for 4 years.